The Magnificient Multitude of Beer. — Turkois. Behold! A single infographic depicting the countless styles of our favorite recreational beverage. 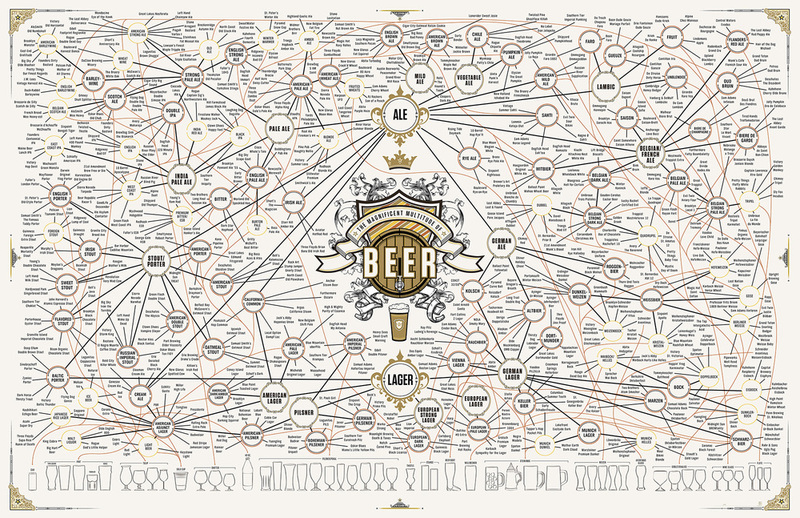 Bask in the glow of this carefully constructed family tree, available as a 60" x 40" print that's just big enough to cover that empty wall space in your man cave...bottoms up!